I was hoping to show off some Spring photos of my own this week, but nothing yet. So it was wonderful to be greeted by these featured shots today, on one of my most favorite websites … www.HOUZZ.com. Like a pinball machine, our Minnesota weather has been up, down, back and forth, just all over the place this year. The calendar rightly lists spring but heavy May snows and unusually low temperatures have postponed the actual season. The article by Houzz contributor Benjamin Vogt, caught my eye with the beautiful pictures, but held my interest because of the zone information. We’re in the northern part of zone 4, on clay soil so this plant seems perfect. It’s perenniel, and seems to have continued interest through the seasons with it’s foliage and seed pods. 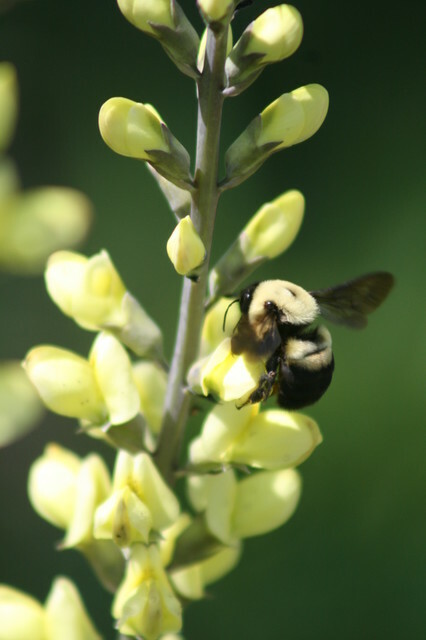 Our area is also suffering a mysterious loss of some of our native bees, so perhaps the Baptisia will help with that as well. Benjamin notes that wherever you place Baptisia, make sure that’s the final spot where you want it. 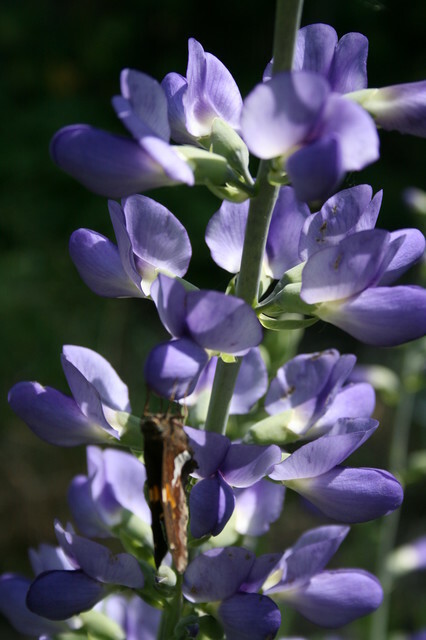 Baptisia takes a few years to bloom, and it has a deep taproot (making it very drought tolerant), so it responds poorly to being moved. ‘Twilight Prairieblues’ (shown) is another cultivar with dusky purple petals and a yellow base. Its leaves tend to be a smokier blue than the greener species plant. You’ll find the entire article HEREand if you haven’t already found HOUZZ, I bet you’ll follow it once you take a look! Readers, I’m sure you agree that our sympathy and thoughts go out to the Moore, Oklahoma tornado victims. Check your local television networks for information on how to help. With your spring home and garden projects remember, don’t stress, just start.